A two-story Dome with an amazing 4K digital projection system creates a theater experience so vivid, you’ll feel like you’re part of the action. Please note: Shows are subject to change. 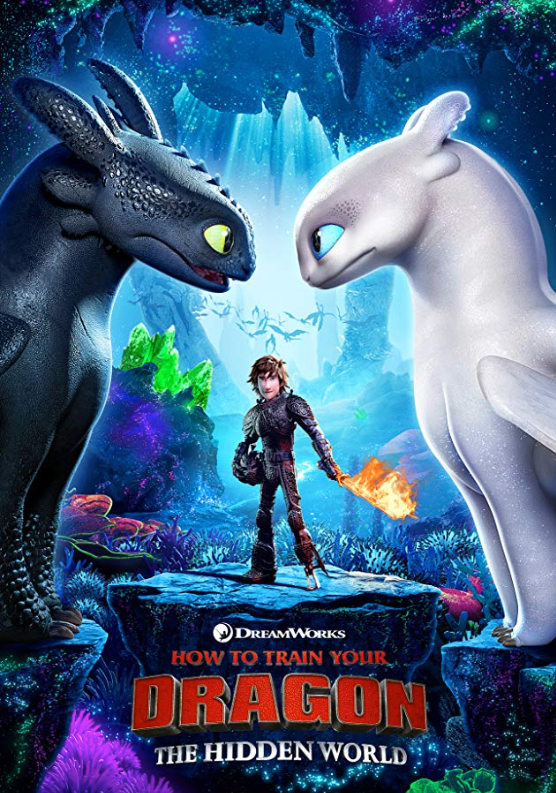 School groups and facility rentals may affect showtimes and ticket availability. Please refer to the calendar on the ticket purchase page for up-to-date information, or call our advance ticket office at 620.665.9347 or 800.397.0330 x347. Credit card required for advanced purchase. Timed to the 50th anniversary of NASA’s celebrated Apollo 11 mission, APOLLO 11: First Steps Edition is a thrilling cinematic experience that showcases the real-life moments of humankind’s first steps on the moon. 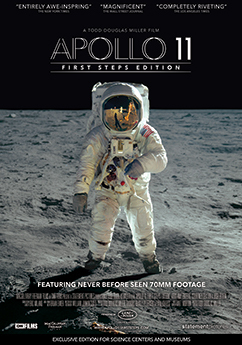 In this special giant-screen edition created exclusively for science centers and museum theaters of Todd Douglas Miller’s critically acclaimed Apollo 11 documentary, the filmmakers reconstruct the exhilarating final moments of preparation, liftoff, landing and return of this historic mission—one of humanity’s greatest achievements and the first to put men on the moon. With a newly-discovered trove of never-before-seen 70mm footage and audio recordings, APOLLO 11: First Steps Edition joins Neil Armstrong, Buzz Aldrin and Michael Collins, the Mission Control team and millions of spectators around the world, during those momentous days and hours in 1969 when humankind took a giant leap into the future. Directed by Todd Douglas Miller, APOLLO 11: First Steps Edition is produced by Statement Pictures in partnership with CNN Films and presented by Land Rover. The film is distributed by MacGillivray Freeman Films. Through the eyes of Cuban artists, historians, and scientists, the film provides an intimate look this vivacious island nation. Filmed exclusively for the giant screen format, CUBA reveals why Cuba continues to stir the imagination of the world. 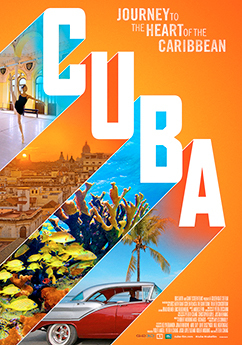 CUBA is produced by Golden Gate 3D, in association with BBC Earth, Giant Screen Films and the Giant Dome Theater Consortium. From the earliest legends of humans taking flight to the latest advances in warp speed technology, Space Next traces our fascination with flying and our timeless desire to reach the stars. Along the way, the stories of the space race, lunar landing, and space shuttle program are clearly told, preparing the audience for the mind-blowing future that’s just beyond the horizon. 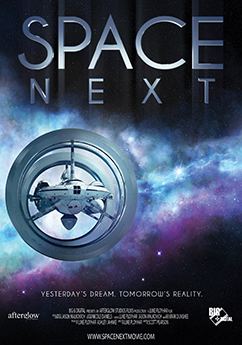 Space Next brings us up to speed on where we’ve been, where we are now, and boldly ventures beyond today to tell the story of where we are going; all in breathtaking, state of the art imagery and evocative sound design to transport audiences to the future. After every remarkable achievement, the question always comes up, what’s next? Turns out, quite a lot!